There are no excuses for poor food choices, just poor planning. Eating nutrient-rich foods doesn’t have to break the bank, but you do need to have a plan in place in order to make healthy meals, prepare snacks to have on hand, and make the best choices in the grocery aisles. 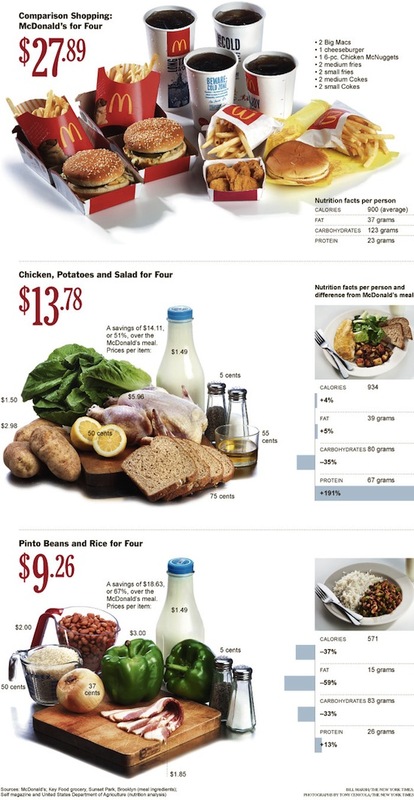 Take the extra time and effort to plan ahead now that you can see from the above image that the high cost of healthy foods is no longer an acceptable reason for not eating right.